When couples divorce, the normal order of things has the parents sharing or taking sole custody of a child. Divorce laws are set up with this arrangement in mind, and public policy is firmly in favor of allowing parents to raise their children over someone else. In fact, this preference to give parents as much involvement and influence over the lives of their children extends to situations where the parent is accused of a serious crime. An appeals court recently ruled that a man accused of killing the mother of his son in Coral Springs still retains the right to decide who the child’s new guardian will be. This case is an unusual and unfortunate example of unanticipated circumstances that make keeping children with their parents impossible or ill-advised. Other possible reasons a parent may need someone else to care for a child could be related to severe illness or medical condition or substantial injury sustained in an accident. The need for another adult to take over physical and/or legal custody of a child could be temporary or permanent. In either case, other family members are always the first and best choice to assume this responsibility. Since a good portion of these cases only require temporary guardianship, Florida law includes provisions on when and how these arrangements operate. enroll a child in school. Only extended family members can petition for these powers, and the custody order can be temporary or concurrent. 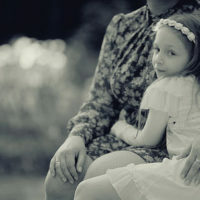 If the custody order is temporary, meaning all rights typically held by a parent are transferred to the relative, at least one parent must typically consent. Consent is always required for concurrent custody, which refers to situations where the parents share parental authority with the family member. In concurrent custody orders, parents have the right to notice and an appearance at a hearing before the court may grant any petition. The best interests of the child is the determining factor on whether a court will grant a petition. While the consent of both parents is usually sought, if one parent objects, it is still possible to receive temporary custody. Concurrent custody, on the other, is only available if both parents agree. If there is an objection to a temporary custody petition, the court must find the parents are unfit to care for the child based on abuse, neglect or abandonment. However, the parents may still receive visitation rights if it is in the best interests of the child. Both the relative caring for the child and the parents have the right to request termination of a concurrent or temporary custody order at any time. A court will terminate a temporary order if either parent is determined to be fit, and a concurrent order if a parent objects. Getting child custody arrangements right is crucial to the wellbeing of any child. If you have questions about child custody, talk to an experienced family law attorney to learn your options. While parents are traditionally a child’s caregivers, other family members can step in to fill this role. The Tampa law firm of Bubley & Bubley, P.A. will help you figure out how to best protect your child’s welfare and your rights as a parent. Contact us to schedule a free consultation.